If you all have followed any other posts in our Drool Worthy Decor series, you know they are packed full of talented blogger’s very own homes and the inspirational ideas they share with the rest of us! 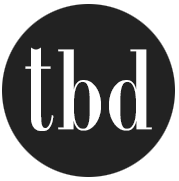 Our two most popular so far are “Dramatic Master Bedroom Makeovers” and “Farmhouse Kitchens“. Well, prepared to be amazed, loyal readers! Fall is my favorite season of the year, right behind the holidays of course. But I’m not an all orange and brown “cute” type of fall decorator. I love the idea of using the softer colors and textures of nature doing it’s swan song after the summer wanes. Luckily for me, these amazing bloggers feel the same about fall decorating ideas! Fall Decorating Ideas Home Tours! KariAnne from ‘Thistlewood Farms‘ makes almost every one of our “Drool Worthy Decor” series because… well, her entire home is drool worthy! And she is so talented in the way she styles everything. Love it! Above, white fabric pumpkins in a wood trough. 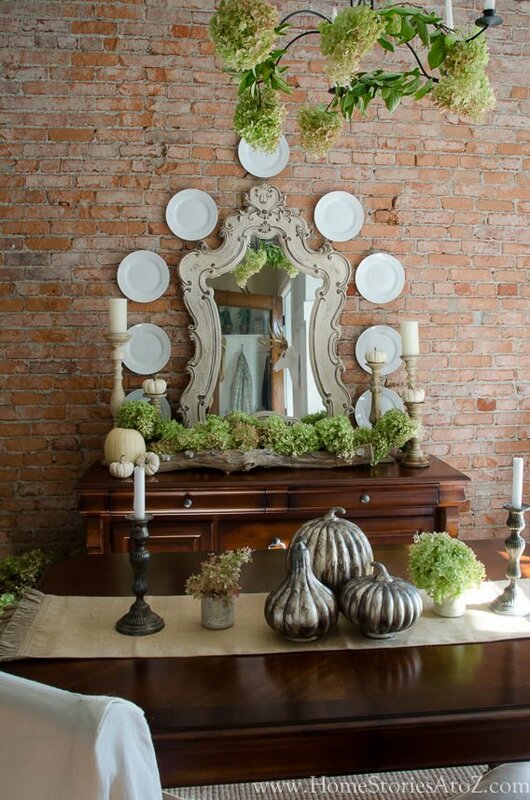 Below, simple white pumpkins, dried Hydrangeas and pine cones. Inexpensive, elegant, and makes you feel like cuddling up with a good book and a throw! 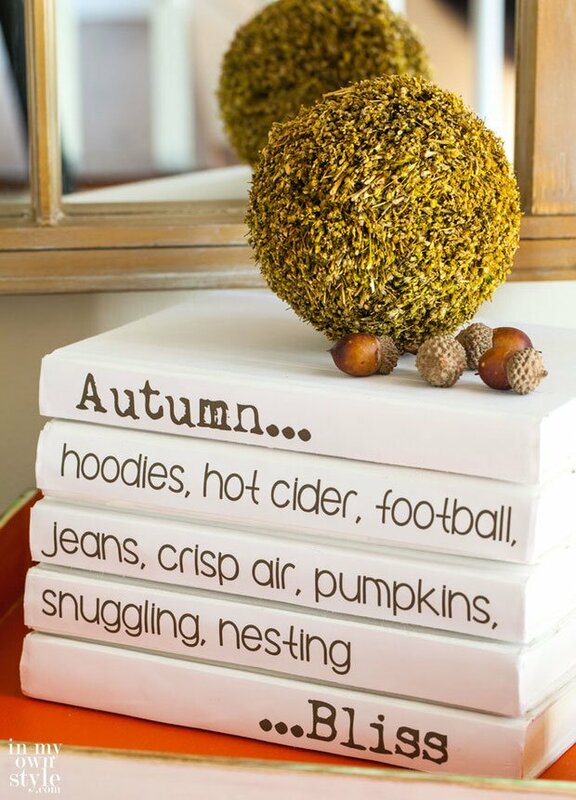 Beautiful fall decorating ideas! Bonnie at ‘Uncommon Designs‘ used wheat as a focus element in her fall home tour, including this raised box wheat centerpiece. Check out her full tutorial for this fall decorating project! 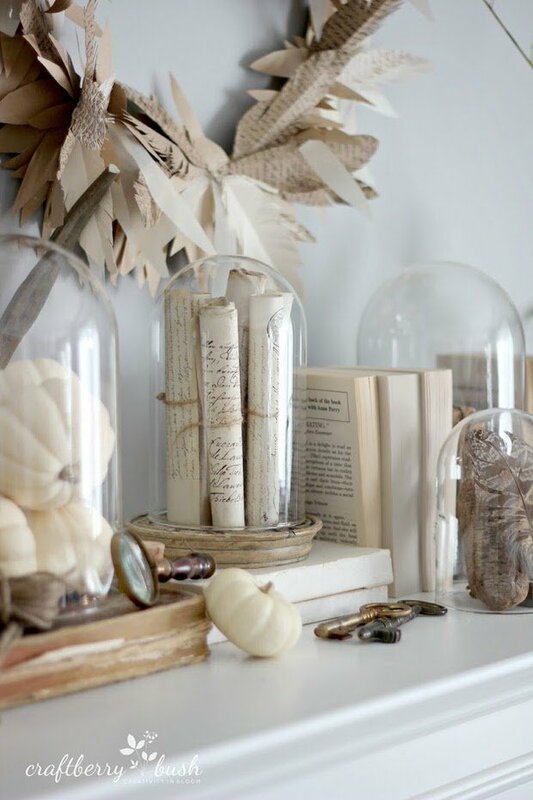 Heather and Vanessa from ‘At the Picket Fence‘ know how important details can be to every fall decorating vignette. How talented are they?!!! 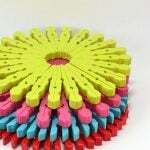 These are small, inexpensive items that make all the difference. 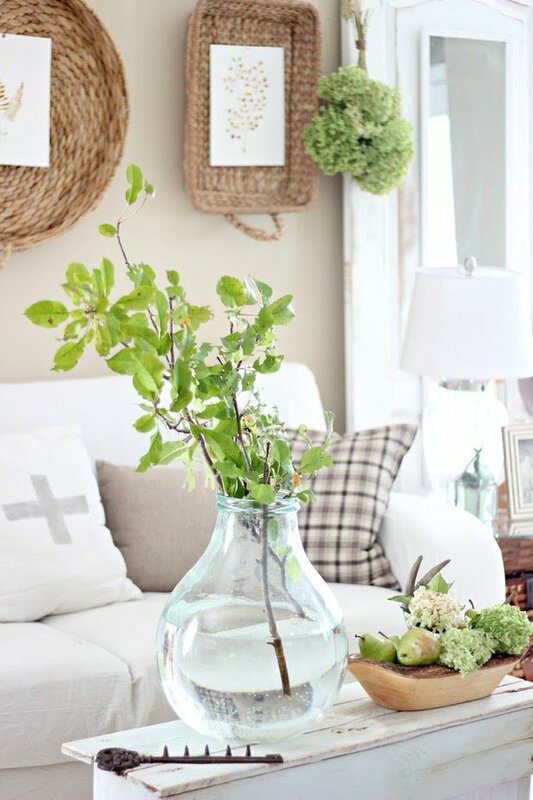 Beth Hunter from ‘Home Stories A to Z‘ knows how to style a room for any season, while never overdoing it. I love her entry, full of color! The great thing about it is that the color is all natural, but makes for a happy and cheery entry that is full of warm and welcoming fall decorating ideas! But my favorite room in Beth’s fall home tour is definitely her dining room. First, I have a soft spot for limelight Hydrangeas. Oh my! The lushness! Then her DIY tealight log, the small white pumpkins on wooden candlesticks, the silver pumpkins on the dining table… Oh, and the flowers on the chandelier! Love, love, love!!! And talk about “Drool Worthy”… look at that brick wall! Diane at ‘In My Own Style‘ is a genius at making something from nothing… Love this simple styling that adds so much fall decorating charm! Did you catch the book covers? Want something with a little more punch? 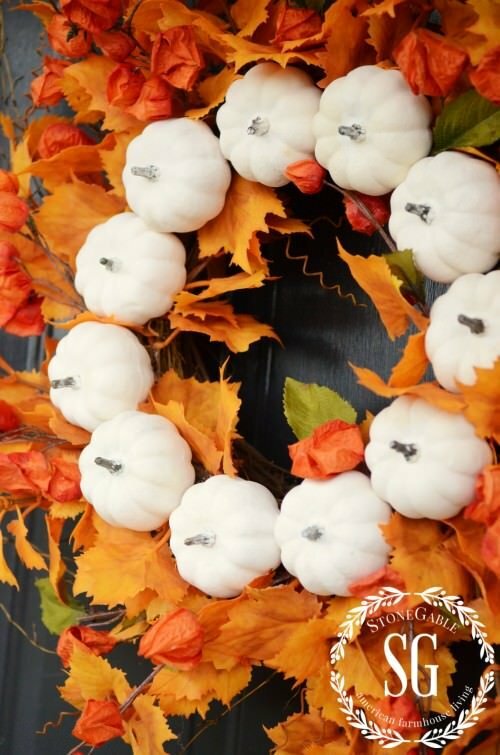 Then let Yvonne from ‘Stone Gable Blog‘ show you how to make her white pumpkin wreath from her fall decorating home tour! These last fall home tours are from the Eclectically Vintage fall home tour hosted by Kelly from, well…’Eclectically Vintage’, of course! Lucy at ‘Craftberry Bush‘ knows exactly how to use nature and texture to make a warm fall feel… From the fresh foliage to the baskets, to the amazing paper, feathers and pumpkins on her fall mantel… Gotta love the perfect blend of pretty fall decorating ideas! 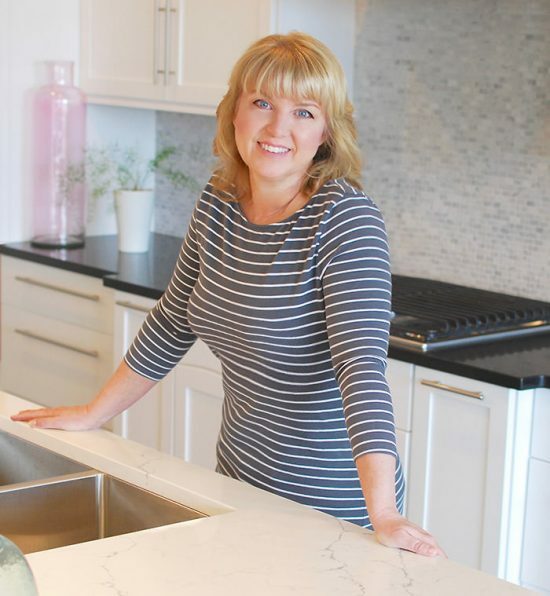 Her whole house is an inspiration! 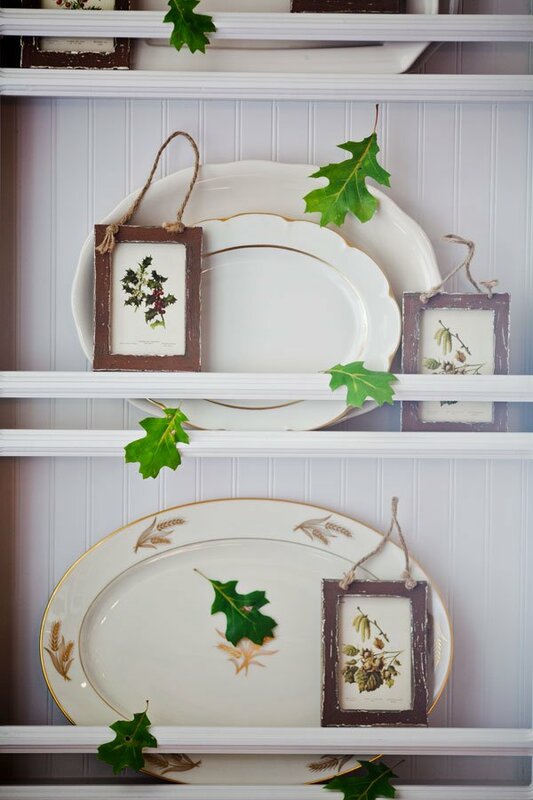 Anita at ‘Cedar Hill Farmhouse‘ has a really inexpensive way to get the “falling leaves” effect. Scotch tape! Make sure you check out her leaf banner idea near the top of her post. I love using signs and words to decorate, and Jen at ‘City Farmhouse‘ nailed the whole fall decorating season with this chalkboard vignette! 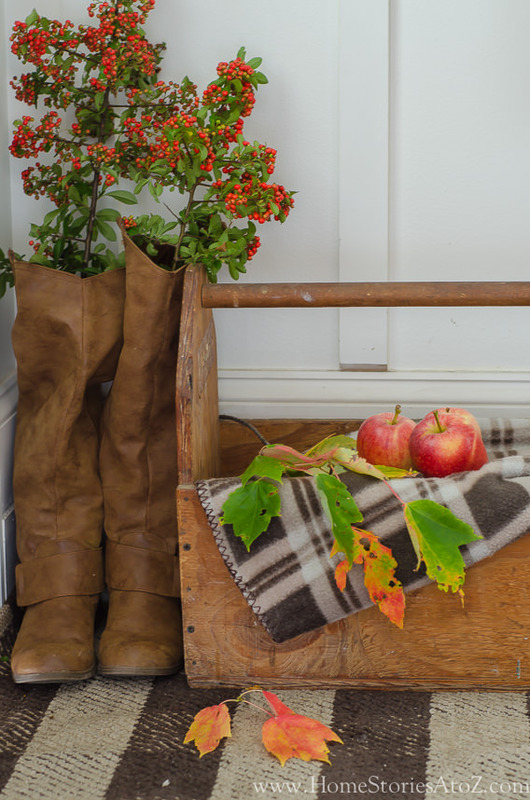 If these ideas don’t get you excited about fall decorating ideas, nothing will! 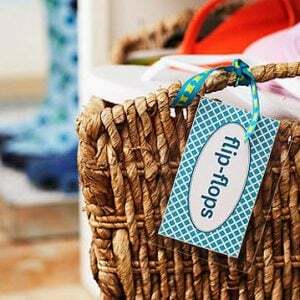 Remember to visit them all for great ideas all around your home! Want to see more of our Dream Worthy Decor series? Check out Farmhouse Kitchens tours! 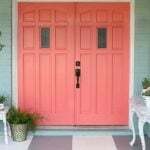 And then visit our post on Fall Front Porch Decorating Ideas! And remember to save a pin for later!